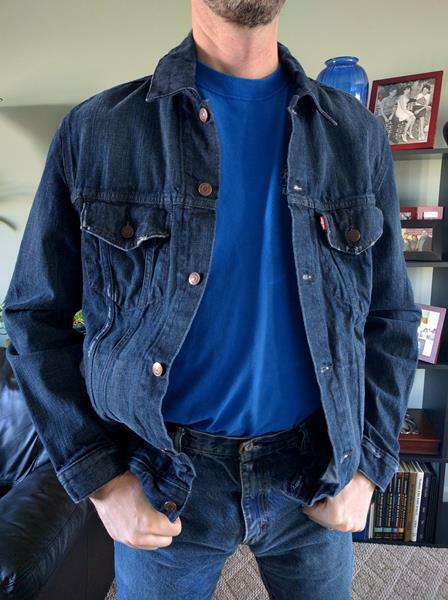 This is a men's large authentic Levi's jacket with lots of character. 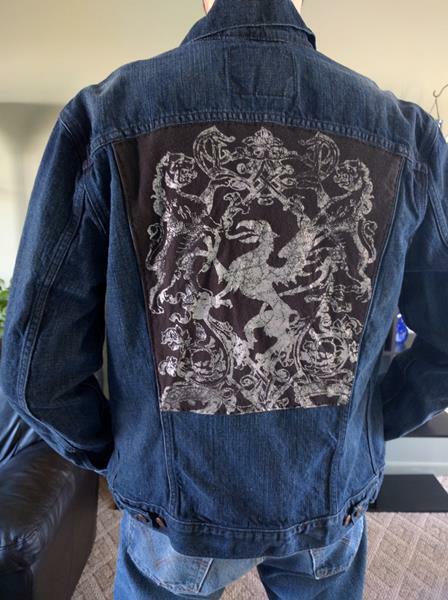 Dark blue denim with a black-and-white distressed design on the back: a griffin, and two lions crossing swords. Handwarmer pockets, breast pockets, inside pockets. Grrreat spring jacket for a lover of mythology or the medieval look!